JOE CEPHUS BURKS was born on Sunday, December 26, 1948 in Troy, Alabama to L C and Jureen Burks. He was the oldest of 7 (4 boys and 3 girls). His parents preceded him in death. One day at the Aberdeen Proving Ground Army Base Christian Servicemen’s Center, Joe heard a message on salvation. Afterwards, the Holy Ghost asked him on 3 different days “Joe are you going to pray that prayer?” It was then that he gave his life to Christ at the age of 21. In his early years, Joe joined Mount Olive Missionary Baptist Church under Reverend Leroy Kelley. He was a Sunday School Teacher for a brief period of time and was also a member of the LRK choir. Joe later became a member of Full Gospel Assembly under the Pastorate of Joseph Frano and joyfully served as an usher. Joe attended George Washington Carver School in Montgomery, Alabama before his family moved to Cleveland in 1963. He attended East Technical High School and graduated in 1967. In 1969, Joe attended Tuskegee Institute (University) and studied electrical engineering. Before completing his schooling, he was drafted into the United States Army. Prior to serving in the United States Army, Joe united in Holy Matrimony to the love of his life, Glory Ann Bryant. Joe and Glory were married on July 1st, 1970. To this union, 3 wonderful children were born; Cheryl, Karen and Joshua. For a few years, Joe was employed at Bailey Meter where he built control systems. He was later employed at Delaval in the Special Products Division as a Shipping Clerk for 17 years. Joe’s love for God surpassed everything else in his life, as it was seen in his passion for deeply studying the Bible. When he was employed at Delaval, he regularly led Bible studies with his co-workers. Joe was a devoted husband and father and loved spending time with his wife and children in everyday life and family events. He enjoyed playing the guitar, tinkering with electronics and gadgets, riding his bicycle, and watching the Toure De France, Star Trek, and Westerns. 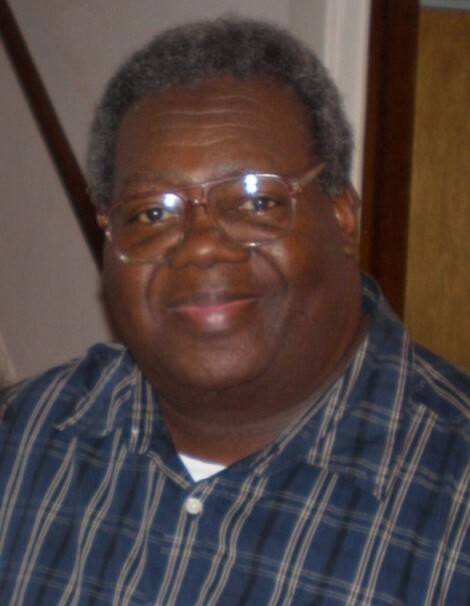 He leaves to cherish his memories, his loving wife, Glory of 48 years, his daughters Cheryl (Darryl), Karen and his son Joshua; 4 Brother-in-laws; James Barnum of Cleveland, OH., Kenneth Barnum (Jo Ann) of Sacramento, CA., Gregory Barnum, and Herbert McCall of East Cleveland, OH. ; 6 siblings: Jimmie Clarence Burks (Shirley) of Bedford Heights, OH., Harold L. Burks (Nanette) of Warrensville Heights, OH., Mary Catherine McGraw (Robert) of Cornelius, NC, Sandra Yvonne Burks of Cuyahoga Falls, OH., Lenda Sojourner (Dan) of Fairlawn, OH., Melvin Wayne Burks of Charlotte, NC., and a host of uncles, aunts, nieces, nephews, cousins and friends.